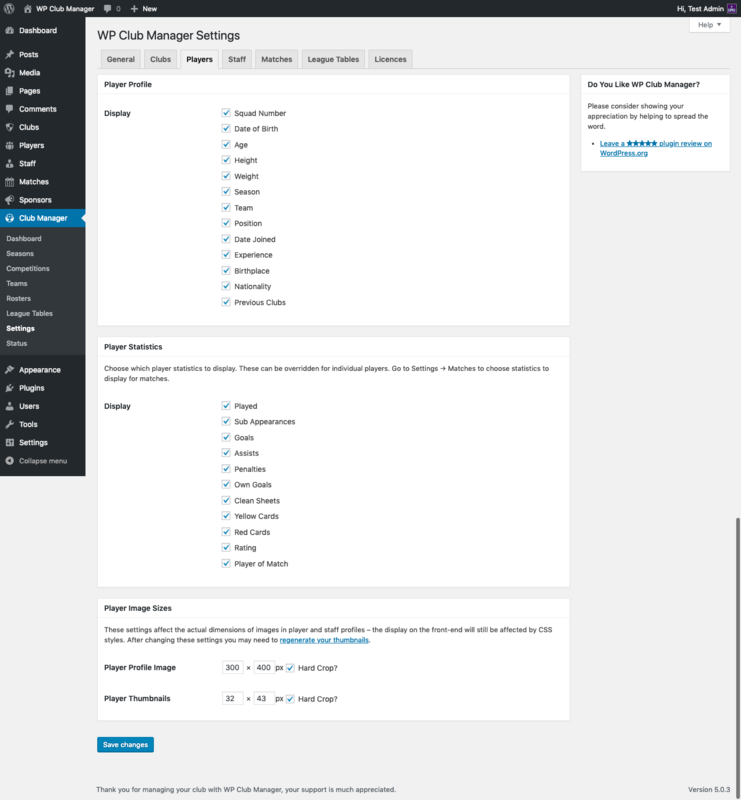 To edit the player settings go to Club Manager > Settings and click on the Player tab. Choose which player statistics to record. The statistics available in this list will be determined by your default sport. Checked statistics will be displayed throughout the site on match and player pages. These options define the sizes of your player profile images and thumbnails. Uploaded player images will be resized as accurately as possible to match the dimensions you set here. You can also choose to hard crop your images which will crop your images to match your dimensions rather than distort them. If you change these settings don’t forget to save your changes and use the Regenerate Thumbnails plugin to resize any player images you have already uploaded.